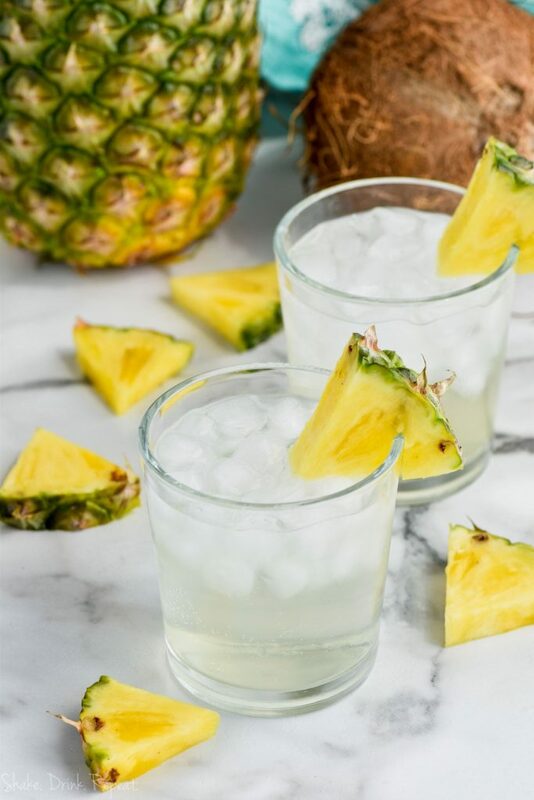 Indulging in a tasty cocktail doesn’t have to derail your diet, especially with this Pina Colada Vodka Soda. This simple, slightly sweet bubbly drink will satisfy your summertime cravings while leaving any guilt at the door. If you you need the real deal, make my three ingredient Pina Colada. Vodka is one of the most desirable liquors out there, mainly because of its low calorie count. It’s what makes this Peach Vodka Smash and this Vodka Party Punch so popular. One ounce of vodka is only 64 calories. Tonic water adds many more calories to the cocktail. But this cool cocktail calls for coconut sparkling water, which you can find calorie free (I love La Croix’s coconut flavor!). And one ounce of pineapple juice only has 15 calories. I’m no math whiz, but it seems to me this cocktail is packed with flavor, not calories. 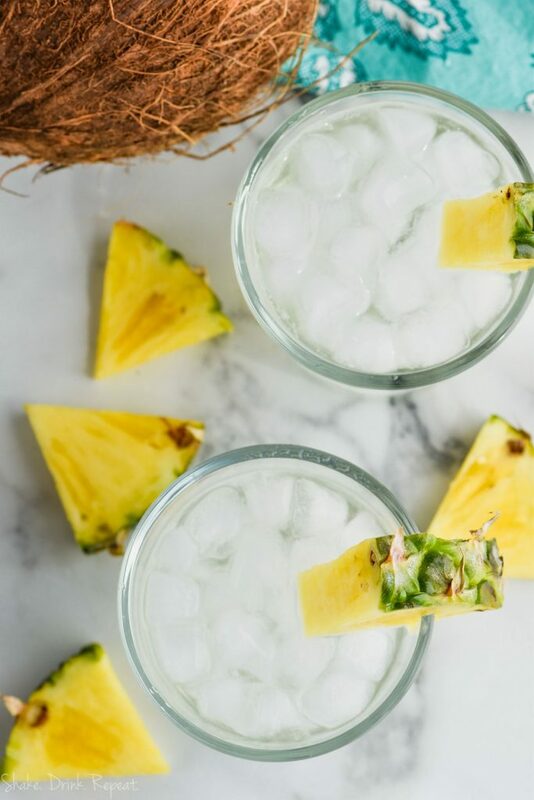 WHAT DO I NEED TO MAKE A PINA COLADA VODKA SODA? First and foremost, find a really good, high quality vodka. Titos is popular in my house. An ounce or so of pineapple juice, also delicious in this Salty Dog Punch. 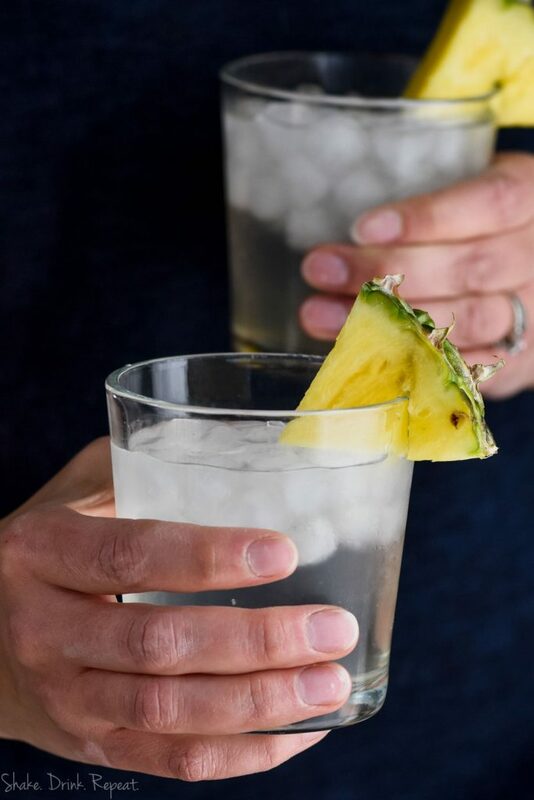 Finally for this vodka soda recipe, you’ll need refreshing coconut sparkling water. Delicious on its own, the flavor knocks this cocktail out of the park! If you can’t get enough of coconut cocktails, try this Coconut Margarita. For one cocktail, combine an ounce of vodka with one ounce of pineapple juice. Add to a tumbler glass filled with ice. Top with coconut water, then stir to combine! For more tropical treats, try this Pina Colada Sangria or this Vodka and Elderflower Lemonade. 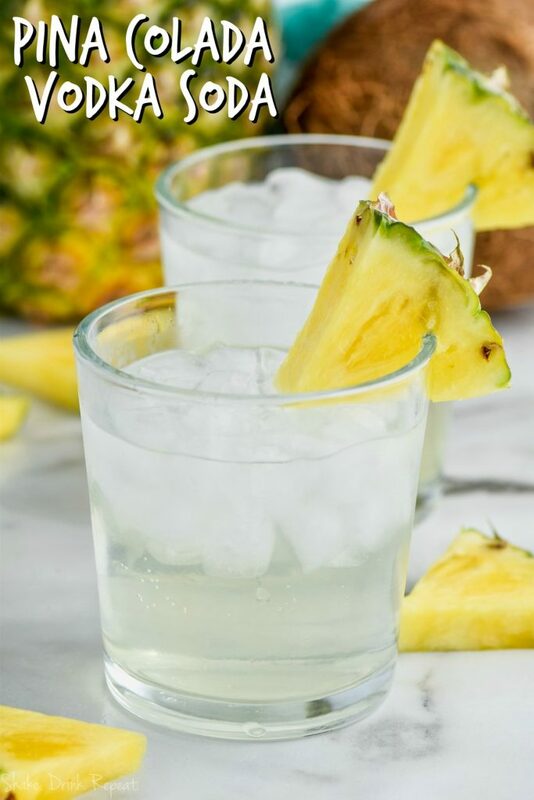 This Pina Colada Vodka Soda is perfect for loving on your summer cocktails without breaking the calorie bank! And it's only a few simple ingredients! Fill a small tumbler glass with ice. Add in the vodka and the pineapple juice. Top with coconut sparkling water. Stir to combine!